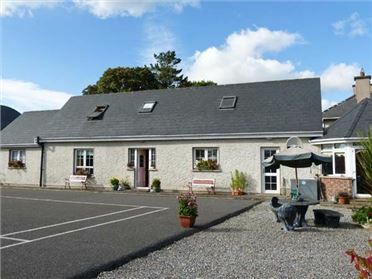 Tilladavins House is a lovely, semi-detached holiday cottage, situated beside the owner's home near Kilmore in County Wexford. 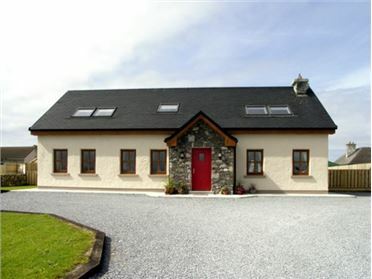 The cottage has three bedrooms, two double rooms and a twin room, meaning it is perfect for families or groups of friends. One of the double bedrooms also has its own en-suite shower room and there is a separate family bathroom with a bath and a separate shower cubicle. 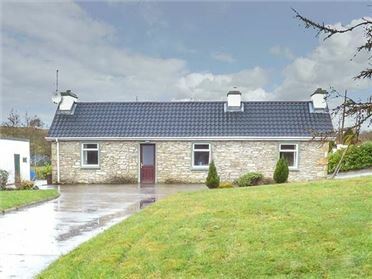 There is a kitchen with a dining area and a sitting room with an open fire and seating for five. Double doors open onto the patio and there are lawned gardens to the front and back of the cottage, as well as off road parking. With lots to see and do nearby, Tilladavins House is a great choice. Three bedrooms: 2 x double (one with en-suite shower, basin and WC), 1 x twin. Bathroom with bath, separate shower, basin and WC. Kitchen with dining area. Sitting room with open fire. Oil central heating with open fire. 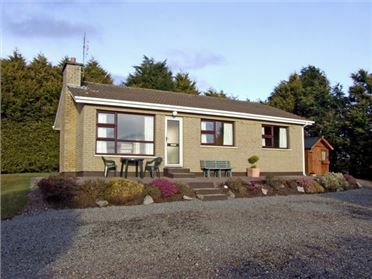 Electric oven and hob, microwave, fridge, washing machine, tumble dryer, dishwasher, TV with Free-to-air channels, DVD, selection of books and games. Fuel and power charged by meter reading, starter pack for fire inc. in rent. Bed linen and towels inc. in rent. Ample off road parking. Front and rear lawned garden with patio and furniture. Sorry, no pets and no smoking. Shop 3.5 miles, pub 1.5 miles. Beach 5 mins walk. Note: Check-in 4pm.